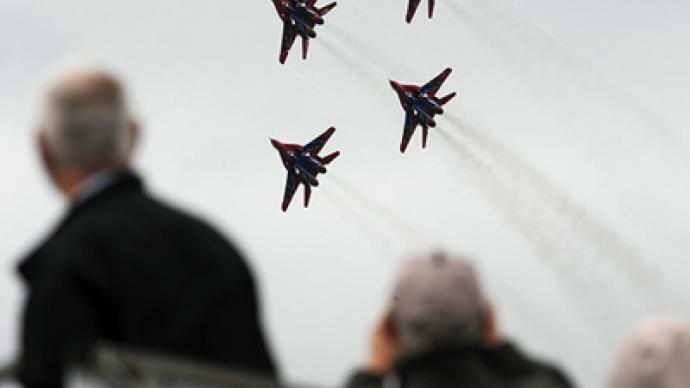 One of the world’s most-famous aerobatic teams, the Russian Strizhi, is celebrating 20 years since formation. The team, which includes some of the world’s best military pilots, was first gathered in the early 1980s at Kubinka Air Base near Moscow. They were among the first to test the then-new Mig-29 fighter jets, which have become their aircraft of choice. Pilots learned to fly in tight formations, which later became one of their signature stunts. Strizhi, also known as the Swifts, officially became a designated aerobatic performance team in 1991, when they fist flew with signature colors. Since then, they have performed at the world’s biggest aviation events, including Paris’s Le Bourget and Moscow’s MAKS air shows. 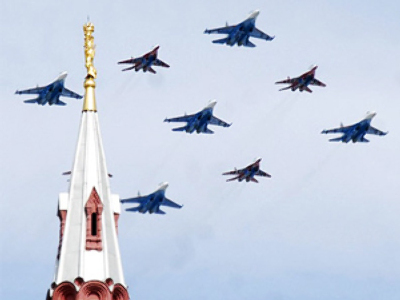 They also take part in the military parades for Victory Day, May 9, in Russia. The team, which has six Migs in its fleet, specializes in formation flying, with some stunts requiring the jets to hold a distance of less than a meter between them. In 1993 it was named the world’s best piloting team. Since 2003, the team has regularly performed together with their fellow aerobatic team the Russian Knights, which flies Sukhoi Su-27s. In 2007, the two teams performed a barrel roll stunt in the “big diamond” formation, consisting of nine aircraft, which had never been done before. The Knights, who celebrated their own 20th anniversary in early April, are taking part in Friday’s performance of the Strizhi as well.